We recently hosted the first community meet up at our Prague headquarters. Being the first one ever, we were very excited to see the high interest from the beginning and we’re truly grateful with everyone who attended. As we promised, we kept the event small and cosy, following a conversation format in which everyone had the chance to air their ideas, debate them and find the best strategies to improve our lives through the creativity tools and life-hacks we talked about during the event. If you came to the meet-up and want to dig a little bit deeper into the topics, or if you didn’t make it and want to learn a bit about what you missed out, here we give you a nice summary of the three main conversation starters. The first conversation started sparked by Matouš, was focused on learning how to achieve the balance within the BODY-MIND-SPIRIT framework and how taking care of those three components of our lives can help us unleash creativity. It all starts with finding out your “why”. The reason “why” you do the things you do, is the base that will allow you to build into your “how”. The why is your fuel and the “how” is the engine that will allow you to move through the world, giving the best of you and achieving maximum efficiency in your daily life as well as your long term goals (more about the importance of your WHY in this Simon Sinek TedTalk). First you start with why, and then you’re able to make a list of your “hows” and prioritise what are the most important actions that you have to take, both in a micro (short-term) or macro (long-term) priorities. Once you have set out your priorities, develop the system that will get you through. This part is crucial. Without a system in place you will be leaving all your productivity to luck, and it is fair to say that luck will only take you so far, but the chances that you will be unlucky will be as high. Set up your system, your to-do’s based on your why and your priorities. Write it down on a schedule of daily, weekly and monthly activities and follow through. If a monthly set of habits seems like a way-too-big task for you, start in the micro, take care of your daily habits; you can start by taking care of your morning. Create a routine that includes some exercise and a healthy, balanced and abundance breakfast. If you start only at least taking care of your mornings, you will be one step closer to having control over your life and you won’t be as affected by external events. Once you have set out your schedule and you know which habits you want to include in your life, go full on execution mode. Execute, Execute, Execute as Gary Vaynerchuck would say. Try your best to stick to that schedule and to perform the most out of your habits as you can. Don’t procrastinate them. But if you do, it’s OK, don’t punish yourself, just get back on that execution horse and Execute, Execute, and Execute! Finally, Matouš proposed to include balance in your system, so called work-life balance. If work is all you have, and you’re not taking care of your body-mind-soul, it is guaranteed that at some point you will crash and burn-out. Nobody wants that. If you have experienced a burn-out you know how painful it is and how difficult is to get out of that space. Your body-mind-soul will send you a receipt from the neglect that you give it, and it will be very expensive; so before you let that happen, balance your life, set your priorities and start the journey into becoming a creative, productive beast. Honza started the conversation asking participants how much 8-hour sleep they have on a regular basis. The response was more or less 50–50. It is not often that sleep is discussed in our culture, we take it for granted and we even neglect it. If you’re a student, an employee or a business owner (or some combination of those), chances are you’ve feel the need to cut down on your sleeping time in order to be able to cope with your projects and deadlines. Turns out — as everyone who’s had a short sleep night can intuit — that sleep makes for a really, really important part in our overall well being. It is obvious that when we sleep, our bodies rest and we feel stronger to tackle life challenges, but is not so obvious how important that rest is and how it can directly improve our awaken creativity and productivity. More of REM (dreaming) with more sleep hours! One interesting fact, for example, is how sleeping helps us through a learning process: when we sleep, our brain goes through our daily activities, repeating them and going through them over and over again. In this process, it starts filtering out the mistakes you did the day before, correcting them in your sleep, so that the next day, you wake up and you’re not making that mistake anymore. Studies say that good sleep leverage the previous day's experience by 20–30 %! The last -but not least- conversation starter was focused on defining creativity and busting through some of the myths around this concept that we have currently mind-framed in our cultural conversation regarding creativity and the “creative-types”. There are many ways in which creativity has been defined, from the most pragmatic definitions: “using imagination to create something”, “the ability to create”; to much more poetic definitions: “building universes out of nothing”, “the ability of reaching out into possible futures, choosing the best one & pulling it back into the present”; to finally the most biologically accurate definition: “pooling from the knowledge that we store in our brains and making connections between different ideas in order to solve problems”. No matter which definition is more attractive to you, some of the most common myths surrounding creativity are the ones that hurt our creative minds the most, which is why recognising them, being aware of the myths and busting them is so important to create a healthy conversation around creativity. You have to be predominantly right brain. You’ve got to be a little bit crazy. Stepping back in history, we see the first sign of this myths appearing into the conversation when rational humanism in the Renaissance took by storm the arts and the culture. Even though we can be highly grateful for some of the advancements that the Renaissance period has brought to contemporary culture, when it comes to creativity it put all the expectations of magnificent creations in the shoulders of the individual, humans with flaws, fears and self-doubts… how can we honestly define ourselves as creative beings when we are way-too aware of our own individual short-comings? 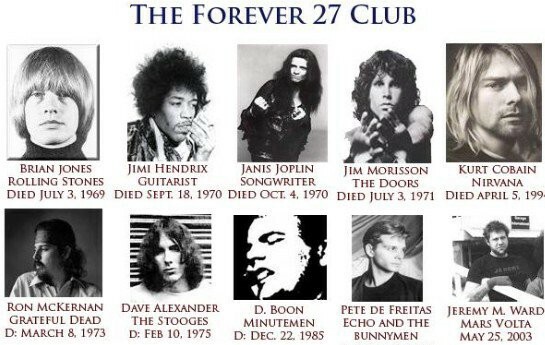 How many stories have you heard of truly creative individuals that couldn't bare the fame or the pressure and ended up taking their life’s at a short age? This wasn't always like this. 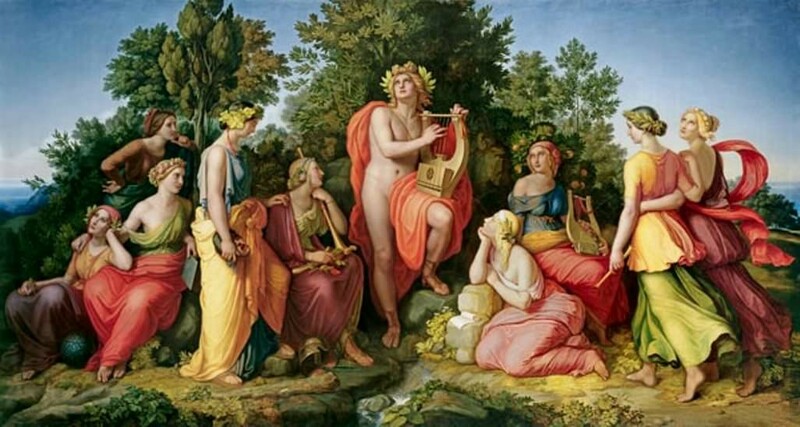 If we go back to ancient Greek or roman empire times (before Renaissance), the “creative” was considered to be a magical creature that lived in the realm of gods and goddesses, and that was sent to polish and help the works of the artists. The implications were beautiful: there was no psychological pressures for the artists, there was no distorted egos (look at all the “divas” in today’s pop-culture), no unmanageable expectations about performance that lead to depression due to fears of rejection, criticism and failure. If your work sucked, it was OK, not your fault, people would think your muse wasn’t very helpful that day. On the other hand, if your work was amazing, there was no need to inflate your ego with it, as people would just praise how lucky you were that your muse was on your good side that day. The invitation in this part of the conversation starter, was to finally bring light to the “untold” story of creativity. Opposed to the mainstream views and it’s myths regarding creativity, if you look at different time-eras and definitions of it, what is behind every creative endeavour is the individual’s human stubbornness to show up and do the work. In this sense, achieving a “creative” status, is only a side-effect of a lot of sweat, labour, awkwardness and discipline performed by the “creative” individual. 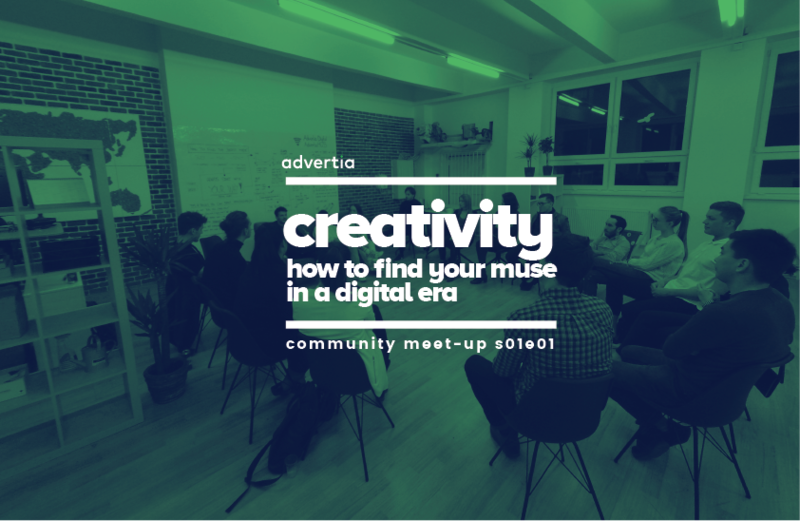 Whether it is that you’re trying to find your muse, or doing the job so that your muse finds you, the true creativity lays in your hard work and commitment to what you’re set out to create, and any of the tools presented in the meet-up are at your disposal to make your creative journey more effective and anxiety free. Btw, our second meet-up will be launched soon, so be sure to follow us on our social media! jsme komplexní digitální agentura na pomezí consultingu a digitálního marketingu se kterou roste již více než 30 firem. chcete růst také? Novinky, insigthy, rady a případové studie digitální agentury advertia digital.